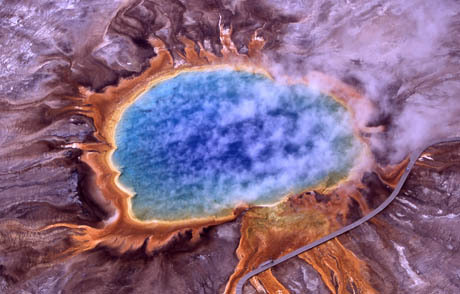 IMAGE: Thermophiles, a type of extremophile that can exist in superheated environments, are responsible for the bright colors of Grand Prismatic Spring, Yellowstone National Park. Photograph by Jim Peaco, National Park Service. Last night at Studio-X NYC, NASA astrobiologist Lynn Rothschild said several extraordinary things. Over the course of a live interview discussing her research into extremophiles, synthetic biology, and the origins of life, we also learned that the oyster’s early ancestors used to have a brain but discarded it through evolution, that a quarter of the world’s copper mining is conducted by microbes (and that urban bio-mining could help tomorrow’s cities remediate brownfield sites and reduce their recycling rates), and that there might be some sort of intergalactic communications highway powered by gravitational lensing, but we’d have to get out to near Pluto to use it. 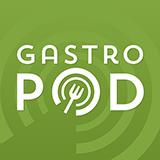 However, Rothschild’s most mind-blowing insight, at least for an edible geographer, was that the history of extremophile research is really the history of food preservation. 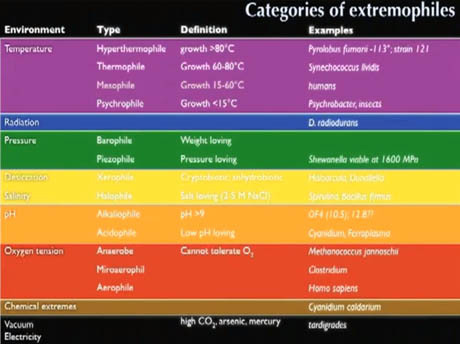 IMAGE: Categories of extremophiles; screengrab from a presentation by Lynn Rothschild. Extremophiles are organisms that live in conditions that would be hostile to most life on earth, such as extreme acidity, cold, heat, or pressure. NASA is interested in studying extremophiles in part because they define the edges of the envelope for life on Earth — and thus help us understand where it might exist elsewhere in the universe. 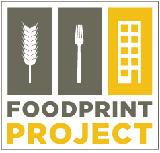 Food preservation is a way to go beyond the limits of life by chemically or physically treating food so that nothing grows on it, and this absolutely tends to parallels. If you think about it, we figured out that high temperatures inactivate organisms through cooking, we figured out that drying food retards the growth of organisms, and so on. 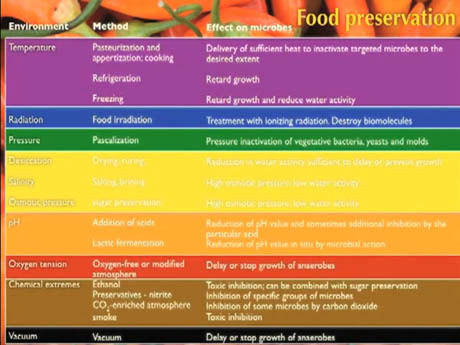 IMAGE: Food preservation techniques analysed in terms of their effects on microbes; screengrab from a presentation by Lynn Rothschild. In other words, humans have inadvertently been probing the environmental envelope of carbon-based life for thousands of years simply by experimenting with pickling, salting, smoking, and refrigeration. As Rothschild’s chart shows, jam-making is actually the creation of an extreme environment characterised by high osmotic pressure, as the sugar squeezes out water activity; refrigeration and freezing simulate inhospitable Arctic permafrost in order to prevent spoilage; and pickling kills most microbial life through immersion in edible acids. What’s more, many extremophiles have been discovered by studying foods that spoil even when stored in these hostile conditions. Lynn mentioned that the earliest halophiles, or microbes that thrive in super saline environments, were found while investigating salt fish spoilage. IMAGE: Transmission electron microgragh of D. radiodurans acquired in the laboratory of Michael Daly, Uniformed Services University, Bethesda, MD, USA. 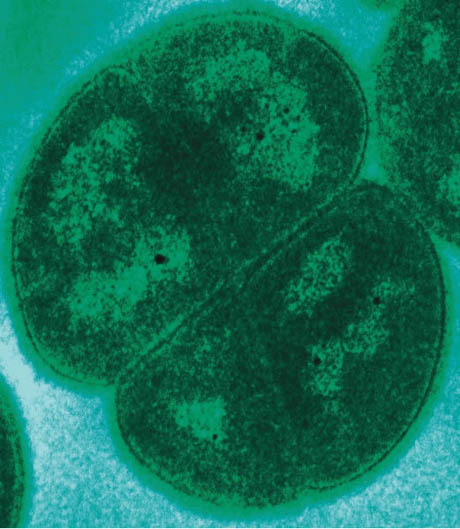 Meanwhile, Deinococcus radiodurans, the toughest bacterium in the world according to the Guinness Book of Records, was discovered in the fifties by a scientist at the Oregon Agricultural Experiment Station who was trying to use gamma radiation to sterilise canned food. D. radiodurans (also known as “Conan the Bacterium”) was isolated from a tin of meat that spoiled after being exposed to a dose of radiation that was thought to kill all known forms of life. IMAGE: Extreme environments: a home freezer (via) and a NASA astrobiologist collecting samples of Alaskan permafrost. As if it wasn’t astonishing enough to think about Antarctic caverns and modified-atmosphere packaging as a common thread tying astrobiology to our daily diet, Lynn Rothschild then went on to discuss the ways in which synthetic biologists are using extremophiles to design the future of food. 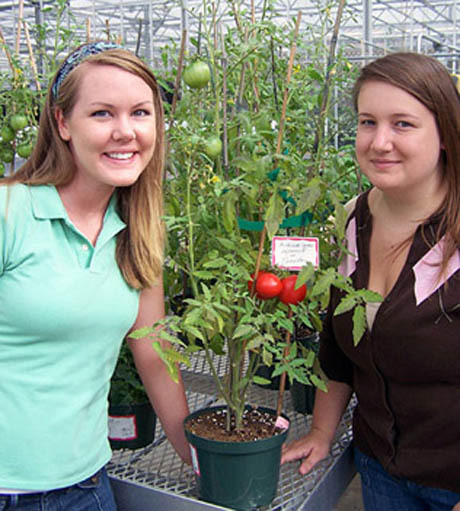 IMAGE: Students pose next to the “first generation of transgenic tomatoes expressing the gene encoding superoxide reductase (SOR) from the extremophilic microorganism Pyrococcus furiosus. SOR reduces toxic free radicals and results in plants with increased, heat, light and drought tolerance.” The tomatoes were developed at NC State by Wendy Boss and Amy Grunden and funded by the NASA Institute for Advanced Concepts. In Rothschild’s lab, they treat extremophiles as “a genetic hardware store,” she explained, packed with capabilities that they can borrow in order to, for example, “engineer desiccation resistance in other organisms.” This kind of bio-engineering could be used to develop crops that will grow in more saline conditions as sea-levels rise or be able to tolerate the extreme weather patterns of our climate-changed future — and it will also be needed to design seeds that can withstand cosmic radiation on their way to Mars. So, we’re not to throw out those strange but wonderful microbiol cultures found in the back of our fridge, but send them to Nicola?